Upon our landing at the airport, the sun had already set and we hopped into the car; the driver sped onto the motorway, and while heading to Beşiktaş my dad’s friend pointed out the window and told me: “Look: those are the walls”. In front of 7 year-old me were the staggering and imposing walls built by emperor Theodosius II, their majesty becoming more and more visible as we approached the beautifully lit towers. That’s the first memory I have of Istanbul – and possibly one of my first childhood’s memories. Looking back, my guess is that I might have stared at those walls in the same way as any other child who, a thousand years before and on route from the province, reached the capital of a bygone empire. Head up, eyes astonished, and mouth open-wide, I gazed at the architectural wonder. Like those children, that was also my first time outside of my native country, and the first time I was visiting a metropolis – not just a ‘city’, but rather and quintessentially ‘the City’. But before following our itinerary through the eyes of our locals, here’s a bit of background.. 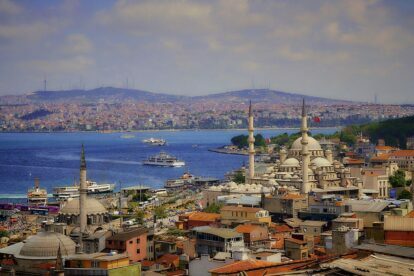 The fate meted out to the the city, nowadays known as Istanbul, was never one of humbleness or mediocrity. Royal by birth, in 330 AD it was re-founded as a capital over the old city of Byzantium by the Roman emperor Constantine. Capital of the Eastern Roman Empire for more than a thousand years, once captured by the Ottomans it maintained its status and became the seat of the Sultan (only in 1923, with the official formation of the Republic of Turkey, did the city cease to be a capital and the name ‘Istanbul’ started becoming common usage). 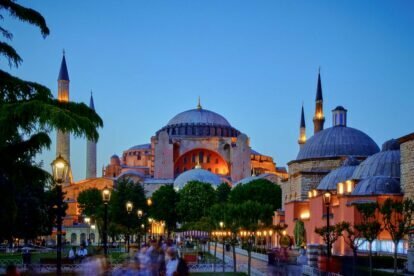 A beacon of light when most of Europe sunk into the Dark Ages, Constantinople became legendary in the whole world for its economic and cultural influence. 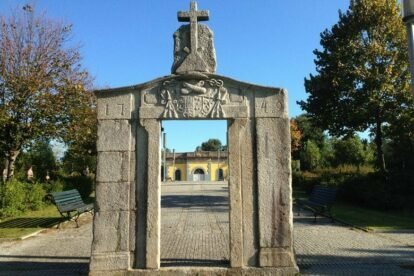 Christianity and the Islam added to its splendour and importance, moulding it into a cosmopolitan cradle of tolerance and diversity that arguably had no equals for more than a thousand years. Gateway to Asia from Europe and vice versa, its fortunate geographical location as the only city spanning on two continents made it a most important strategic centre, both economic and military-wise. When it was still Constantinople, the city was by far the largest in the world and had more than a million inhabitants. Nowadays we count hundreds of metropolises, and Istanbul is no longer the most populated. In the common imagery other cities have overthrown its position as the richest and most global centre in terms of economic and cultural power. Yet despite that.. despite the latest political and social contingencies, the chaotic urban sprawl and violations perpetrated on its territory, no other city than Istanbul has me such magical fascination and wonder. Maybe it’s the sublimation of the five senses that occurs every time you walk its streets, and the faces of its people telling the stories of a thousand races; probably it’s the millennia coming together in just one place, its ambition of eternally embracing the variety of the globe within its walls… Hard to tell, but when I read Zekeriya reporting Napoleon’s quote “If the world was only one country, Istanbul would be its capital”, I couldn’t help but nod in assent. 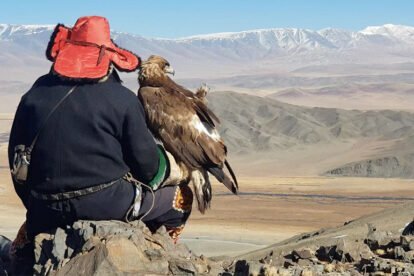 When everything about a place is stunning to the point you would imagine nothing could pass unnoticed, writing an off-the-beaten-path itinerary becomes challenging. However, here we start our journey as a local through the streets of one great Mother of Cities. In the morning some might like it savoury, but the sweet treats of Hafız Mustafa Dessert Shop will convince even the most skeptical among you – according to Sevcan, who herself is not a dessert lover. The shop/coffeehouse is the ultimate heaven of Turkish desserts in Istanbul and, I kid you not, a slice of excellent baklava and a proper Turkish coffee means starting your day with the right foot. 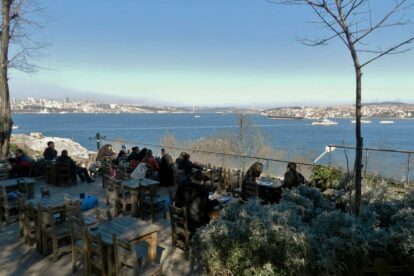 Also, some might prefer tea over coffee; finding a tea place in Istanbul is far from being complicated, but few can boast the incredible view over the Bosphorus offered by its terrace like Setüstü Tea Garden. Another benefit to this special place is that here they still perpetrate the Turkish tradition of serving tea in a samovar. Located in Gülhane Park, adjacent to and on the grounds of Topkapi Palace, Setüstü is a strategic spot to start exploring the complex of the former residence of the Sultan and its surroundings. 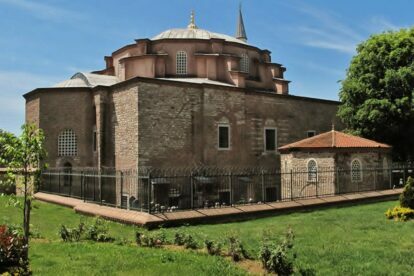 In Sultanahmet, though off the main tourist track, Istanbul Archaeology Museums displays the part of the Tokpaki collection focused on ancient objects and artistic treasures of the ancient civilizations that ruled over Turkey. South of there, Little Hagia Sofia Mosque (formerly the church of the Saints Sergius and Bacchus) is the miniature version of the Hagia Sofia. Considered one of the most relevant and best preserved examples of early Byzantine architecture, it’s a beautiful and chilled spot right in the heart of the city. Opposite the old city, on the other side of the Golden Horn, is the district of Beyoğlu. 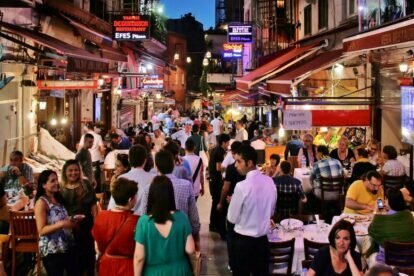 Historically one of the most cosmopolitan areas of Istanbul, known for its large western community, Beyoğlu offers anything both tourists and locals could desire. When lunch time approaches, pass Taksim Square and have a hell of a kebab at Zübeyir Ocakbaşı. 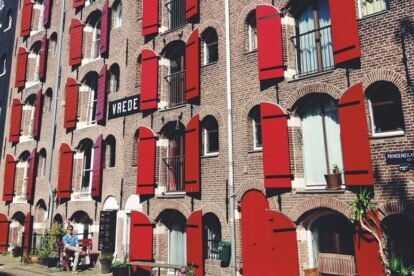 The fact that it has become renowned among locals and tourists alike is not a sign of it being mainstream, but rather that its popularity and high quality has spread outside the national borders. 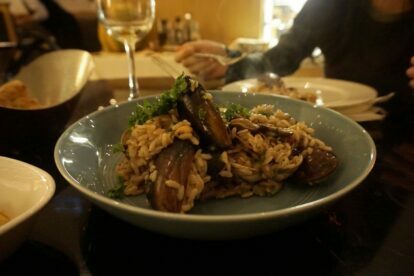 However, if it’s slow food served in an elegant setting what you want, consider checking out Çiçek Pasajı. Previously home to a variety of flower shops (çiçek is Turkish for ‘flower’), this L-shaped courtyard of a 19th century building is now filled with little restaurants (Alper‘s favourite one is ‘Seviç’). At a short walking distance, the Museum of Innocence is the eponymous of the novel written by Turkish writer Oran Pamuk; as in the book the main character collected anything related to his beloved, so the museum displays all the things he managed to collect – especially recommended for every romantic soul. 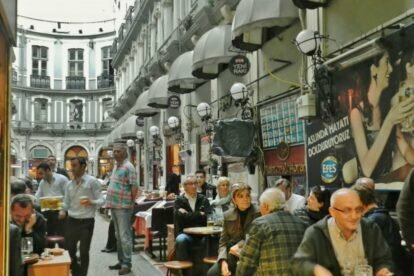 Among the oldest and historically relevant quarters, not only of Beyoğlu but of the whole city, figures Karaköy. Once a Genoese colony/compound under the ancient name of Galata, Karaköy doesn’t look anymore like an Italian city than it did back in the 15th century, but it has indeed maintained its fin de siècle buildings, tiny shops and picturesque streets crawling up the hill where the medieval Galata Tower, one of Istanbul’s landmarks, stands. Wander around towards Kağıthane, a charming stationery shop with a selection of all the little things you might not need but you’d definitely want to buy. No matter what (as many Istanbul-theme items are also sold here, this is an ideal shop to buy some smart souvenirs). Missed out on your daily dose of baklava? Güllüoğlu Karaköy is arguably the best spot in Istanbul for this tasty, nut-filled sweet pastry and all its varieties; as an accompaniment, try their lemonade – as delicious as their baklava. In Turkey they say that the meze, portions of food coming as a set of appetizers, are best friends with the raki, a traditional strong alcoholic beverage; meet the power couple in Nevizade, a street right behind the fish market in Beyoğlu dotted with meyhanes (literally translated from Turkish as ‘drinking places’, so old-school taverns). Further south in Karaköy, Lokanta Maya has successfully managed to add a creative touch to the already rich Turkish classic culinary tradition (it has been highly recommended by our Spotter Serra as an unforgettable dining experience). Just north of the Galata Tower, in an area that has quickly become one of the most popular nightlife spots in Istanbul, Faces is a restaurant that turns into a club after 22:00 and remains opened till 4 in the morning. Their 80s playlist draws constant waves of people and the place gets packed really quickly, but it’s surely an enjoyable venue to start your night off. 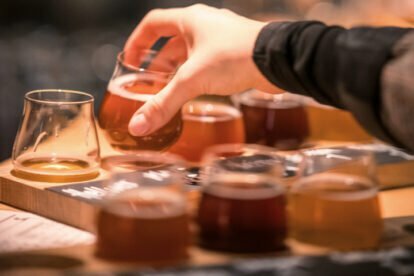 It’s a gastropub but it has made quite a name for itself as being a versatile night spot: almost every night Kiki hosts parties and DJs who bring different vibes and music concepts to its cosy little garden. 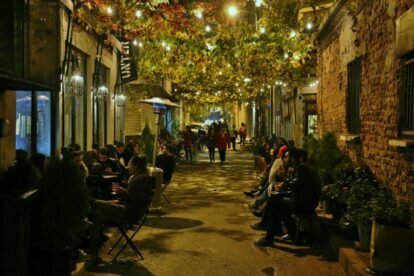 In Karaköy, closer to Lokanta Maya, Bej Kahve is a cafe/restaurant in the French passage that plays till 02:00 every Saturday night – a fair compromise for early-birds who are willing to wake up early-ish and fully enjoy their following day in Istanbul. 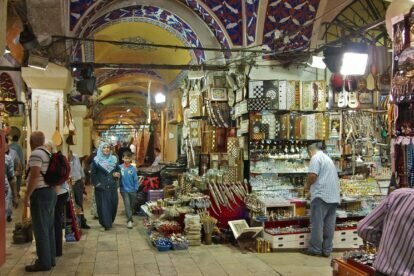 The fact that it’s one of the most visited places by tourists in Istanbul doesn’t make it less local: though you might not find the Grand Bazaar as exotic as it would have looked some centuries ago, its crowded and noisy covered streets are still roamed by the citizens of Istanbul and the shops still sell traditional products. You will easily end up spending your morning getting lost in the maze and browsing through the colours, scents and shapes of the goods on sale, so here’s a couple of cafes within the walls of the Grand Bazaar to find shelter. 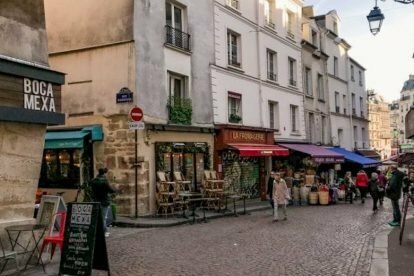 Go to Şark Kahvesi for its atmosphere: at the junction of at least three streets of the bazaar, it’s a genuine Turkish coffee house ideal for sitting while watching people hurrying and and chatting. 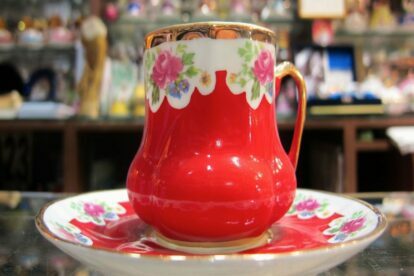 However, the best Turkish coffee in the whole area is to be found at Ethem Tezçakar Coffee: the family who runs it is still the same that opened it in 1909, and the flavour is as good as you might have expected it to be back then. While Istanbul boasts a great number of restaurants serving excellent food, most restaurants near the most popular sights (especially in the historical peninsula of the city, where its old town is) happen to be tourist traps. This doesn’t necessarily mean overpriced food, but a generally tacky atmosphere and tasteless meals. If you want to get away from the touristy scene without going much farther both Ali Baba Kanaat Lokantası and Şehzade Cağ Kebap are good options. The first, right next the Suleymaniye mosque, is popular among Istanbul citizens for its dry beans and definitely caters to a more local crowd; on the menu are also other Turkish classics such as döner kebab. 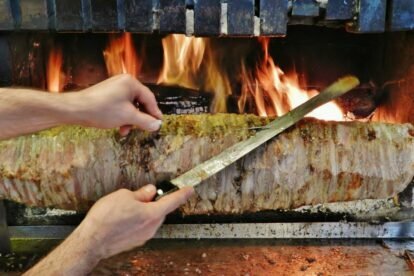 The latter, close to Sirkeci train station, is one of the few places in Istanbul still serving the original ‘cağ kebap’, a variety of the dish originally from the city of Erzrurum in Eastern Anatolia. Conveniently located close to Sehzade are two shops not to be missed; create your DIY fragrance mixing oils, flowers and spices at Arifoğlu, a small perfumery in the Spice Bazaar, and pay a visit to Galeri Set, which Sebahat considers the best pottery store in Istanbul of its kind: this family-run business produces wonderful Turkish coffee sets following the same elaborate techniques used back in the centuries. The styles and colours are diverse, matching the ones in vogue throughout the different periods of the Ottoman Empire. Nearby, the Rüstem Paşa Mosque is an architectural gem by most-celebrated Ottoman architect Sinan; despite being located in the market quarter south of the Galata Bridge, the mosque is a peaceful place decorated with beautiful blue tiles. In the rather poor, yet colourful area of Cibali, Cibalikapı Balıkçısı is a friendly, down-to-earth restaurant overlooking the Golden Horn and serving delicious meze and seafood. An additional reason for popping over: so far this is the only place in Istanbul where Deniz has found the legendary enginar tatlısı – an artichoke dessert and a not-to-miss culinary experience. 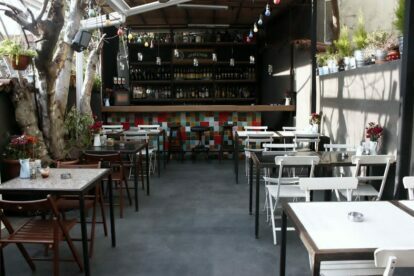 Opposite the historic peninsula of Istanbul, Sahrap Pera was opened by celebrity chef Sahrap Soysal to put your decision-making skills to test: if you’re into Turkish cuisine you’ll find yourself eager to try anything on their list – make sure you get there hungry enough to try as many meze as you can! Right off the busy Istiklal street, Mask Live is where our Spotter and former musician Emre heads to when he wants to listen to well-established or emerging bands. The tiny dimensions of the venue often convinces the customers to move outside and socialise with each other, making Mask Live an animated spot both indoors and outdoors. Yet understandably, by this time of the day some might be worn out by the hectic pace of Istanbul and would prefer a more relaxed last night before heading back home. In this case, just take it easy and walk to the Büyük Londra Oteli & Terrace Bar. Built in the 19th century, the Grand Hotel de Londres has preserved its Ottoman-Victorian charm; its faded elegance and sophisticated decadence are a testimony to what Istanbul could have looked like a century ago. Reach the rooftop for a last drink. 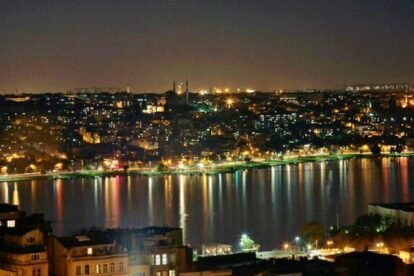 No stellar prices and no pretentious decor, just a breathtaking view over the Golden Horn and Istanbul’s old town. I visited the rooftop of the Grand Hotel de Londres during my last stopover in the city. 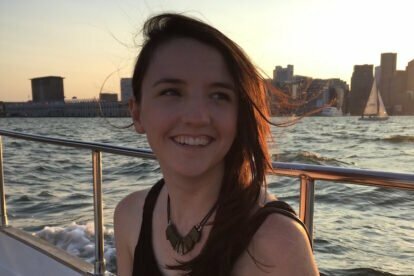 I was no longer a child, yet the astonishing feelings triggered in me by the view suddenly recovered one last, clear memory of my very first trip to Istanbul… Unable to keep quiet at a dinner, my dad decided to take me outside for a walk. Strolling in the gardens of what was once a palace built for the Sultan, right in front of me I could see the lights glimmering on the Bosphorus and the Asian continent. All around me, the city that had defied all limits and aimed at embracing the whole of humanity: Istanbul, ‘the city of cities’, ‘the Queen of cities’, might have not conquered the world, but by then it had conquered my heart. More? 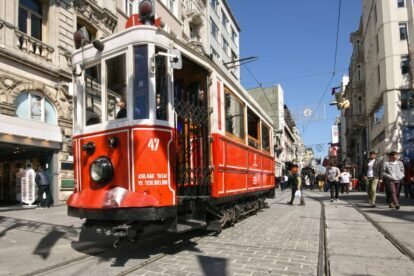 Check our Istanbul blog or app!